GSOV’s first production featuring music from America’s King of Operetta, Victor Herbert, showcases some feisty leading ladies. 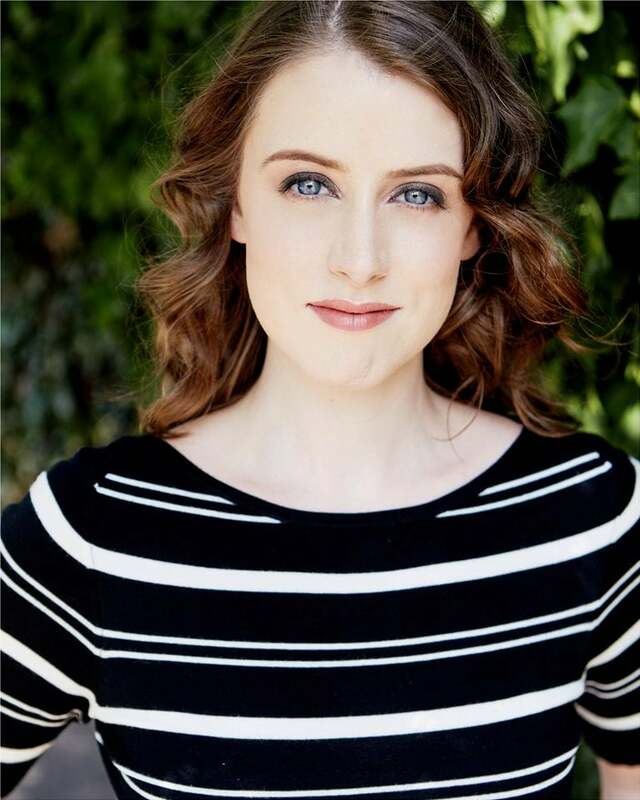 We spoke to Alix Roberts who discusses taking on the role of titular heroine Eileen in this grand Irish musical adventure. 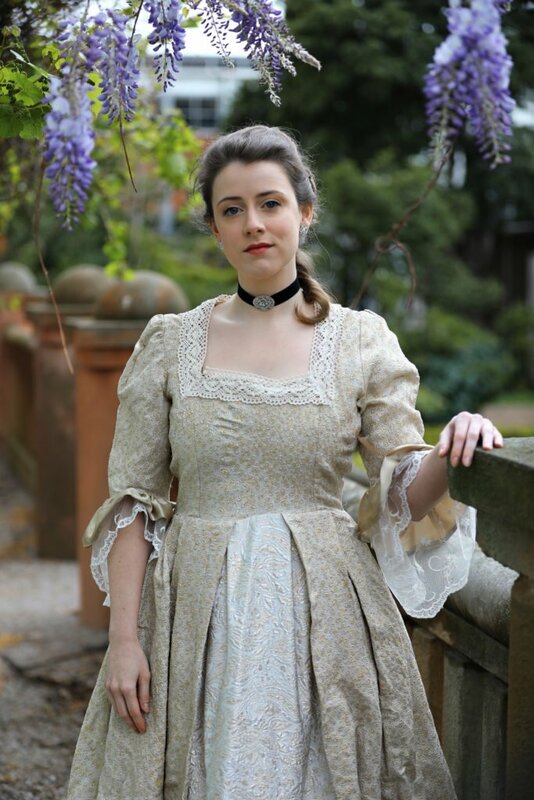 Taking place in the romantic late 18th Century, the character of Eileen Mulvaney has quite an emotional journey from cloistered convent ward to holding her own against charismatic rebel leader and former sweetheart Barry O’Day; what do you think of your character, and how have you approached creating this Irish heroine? I like her! She’s young, and a little naïve, but she’s self-possessed – she knows what she wants, and she isn’t afraid of her own feelings. She holds people (particularly Barry) to account for underwhelming behaviour. She’s much more assertive than I was at 20! It’s been interesting to put myself in her shoes and feel what she feels as intensely as she does. This is my first light opera, so stepping a little further away from realism than usual is challenging, but a lot of fun! I’ve also been listening to a lot of RTÉ Radio podcasts to try to get the accent as accurate as I can. Australians have not been exposed to much of the music of Victor Herbert, a prolific Irish-American composer who is seen by Broadway historians as an important figure in the development of musical theatre in the US. What do you think of his compositions, and the music in this production? I think it’s stunning. I see why he was so influential – he was incredibly talented! I was surprised by how much of his work I already knew. I’d heard the song “Ah! Sweet Mystery of Life” before, but I had no idea it was one of his (from Naughty Marietta). It’s referenced so frequently that it almost seems to be a running joke – it appears in Thoroughly Modern Millie and in episodes of I Love Lucy, All in the Family and Designing Women, and it’s even a recurring gag in Young Frankenstein (the film, not the musical). The music in Eileen is gorgeous to listen to, and such a joy to sing – demanding, but very rewarding when you get it right! It goes from subtle and intricate to unapologetically sweeping and expressive, and somehow it all fits together perfectly. I feel very lucky to have the chance to sing it. You’re a writer and avid reader, authoring a blog about grammar featuring a crime-solving dog, and re-writing humourous lyrics for musical arrangements. Who inspired your creativity in this field, and who would you love to meet right now to trade witty lines and stunning stanzas with? I’ve always liked playing with words. I’m not sure if any one person sparked that; I think it’s probably the result of reading as much as I could when I was young. My parents encouraged me, but I took it a little too far – they eventually had to explicitly ban books at the dinner table. I still don’t leave home without reading material in some form or another. As far as trading witty lines goes, I’m never sure how to answer that question. There are plenty of people, living and dead, whom I’d love to meet across a dinner table or a bar, but I’m pretty sure I’d be too star-struck in the moment to actually banter with them – I’d end up tripping over my own feet (figuratively and literally) and sitting in a corner in silent shame. Assuming I managed to keep it together though (this is a fantasy situation, after all) – Oscar Wilde, Mary Shelley, Samuel Taylor Coleridge, Stephen Fry, Jane Austen, Roald Dahl, Sandi Toksvig, Margaret Atwood, Terry Pratchett, Tim Minchin, Dr Seuss or any combination thereof. It’s difficult to choose – there are a lot of amazing people I’d love to meet! 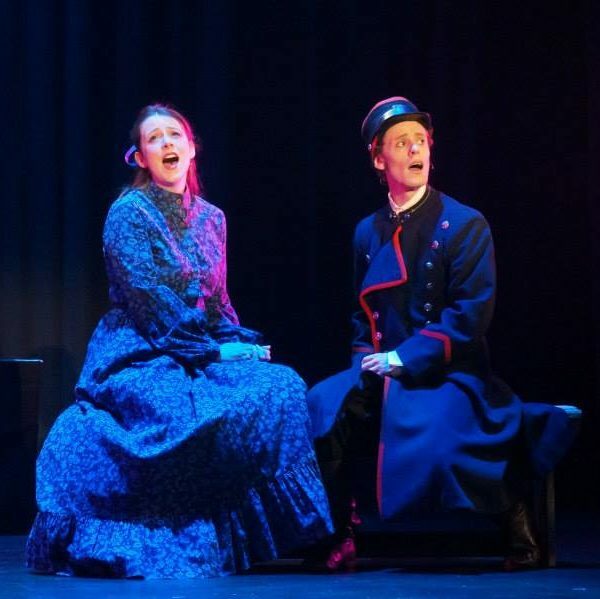 Displaying vocal versatility showcasing acapella ensembles, musical theatre classics and now light opera, what has been your favourite production so far and what would be THE dream role to aim for in the future? I get something different out of every show, but the most recent production I was in (Next to Normal with Oxagen Productions) stands out for me. It’s such an intimate, powerful show, and while my role was very small, it was wonderful to work with a group of people who were extremely talented but also so kind and generous of spirit. It was also my first show after some health problems kept me from performing for a while, and it was incredibly rewarding to be part of a cast again. I hadn’t realised how much I’d missed it. Carmen, Mary Poppins and Eliza Doolittle have always been on my list, but Eileen is pretty close to a dream role for me. A year ago, I didn’t think I’d ever be able to do this again, so I’m incredibly grateful to be performing at all, let alone in a title role, and I’ll do everything I can to do it justice! Eileen premieres at the Kel Watson Theatre for a strictly limited season.